Blog readers are not going to read your blog posts and articles like a book. They are going to skim, scan, scroll and only absorb the information they want or need. It’s rapid-fire reading that requires a different writing technique and style to create a great post. Should you or shouldn’t you contract? Do you need an introduction and conclusion? How long is long or short? Paragraphs are online reading killers, so ditch the long four to seven sentence paragraphs that your writing teacher told you were perfect. Long passages of text with no space require concentration to read, and readers on phones especially have no patience for that. Successful blogs dump paragraphs and replace them with a maximum of one medium sentence, or two to three very short sentences. White space is very important for reading ease, so go easy on your blog readers. Keep sentences short. Very short. In fact, you can use sentence fragments. Again, this is to accommodate the reading style a lot of people use online. They want information, and they want it quickly. Don’t write this. What you need to do is ask someone nicely if they can possibly assist you in proofreading your writing. The best way to do this is to use bold headings that give a clear basic outline of the text that follows. In a way, these become paragraph markers for your readers. Using clear headings allows readers to quickly go to a part of a text that really interests them. Often this could be the search topic they used to find your blog post, so you are helping them find the answer to their question as quickly as possible. This doesn’t mean that they will leave immediately though. If you can guide a reader to what they are looking for, there is a very good chance they will value your resource as a great blog and continue on your site to discover more. Writers know that contracting in formal writing is frowned upon. But in blog writing, you can use both. However, never mix the two styles. If you’re after a relaxed, personal writing style then don’t be afraid to contract all the time for your readers. They’ll love it! But if you want to keep to a neutral or semi-formal writing style, that is fine, and your readers will also be happy and grow to like how you write. The main point is consistency. Keep to your blog writing voice, and your readers will get to know you through your writing style. What is important is to get to the nitty-gritty of your blog post immediately. Do not waste your readers’ time with a long introduction that gives very little information. If your article is about the use of commas, start writing about how to use commas more accurately in your first sentence. The same applies to a conclusion. Is it worth repeating what you have already said? Using a bold conclusion heading can be useful, however. Just make sure that it contains concise decisions or a call to action, and is very short. 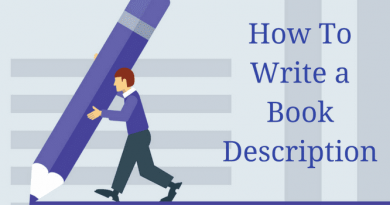 There is no defined introduction, middle and conclusion in blog writing. Only useful or entertaining information that will encourage your blog visitors to read the post. There is one thing that can lose blog readers in a very big hurry. Typos. Grammar errors, spelling mistakes and clumsy typos stand out far more than in a book because the text is given so much white space. Because of the use of short sentences with no real paragraphs in blog writing, errors stand out much more vividly. Take extra care when proofreading anything you post online, but especially with your blog posts and articles. Make sure they are perfect. I highly recommend using a premium online grammar checker like Grammarly that can help you a lot in reducing your errors and typos. Images are vital when you blog online. Think of them as a book cover. Your featured, or main image should tell your readers a little about what they are going to read. This image is also extremely important in gaining readers when you promote your blog post on social media. Your featured blog image will show on all your social media posts and sharing. If you have written a long article, also consider adding a couple of images to break up the length of the text and give your readers a rest. Landscape images work best for this use. Google advertising, which is all about making money, takes enormous advantage of this fact with between paragraph banner advertising. These ads are very often colourful or even video and offer an invitation to the blog reader to take a rest from reading a long text. The ideal length of a blog post depends on a lot of things. If you are primarily looking for organic search traffic, then search engines, and Google, in particular, gives preference to longer form articles. Good content length, in this case, would be between 1,000 and 1,500 words. Some pro bloggers are now moving to even longer posts of around 5,000 words by combining their existing blog articles. However, long-form articles can stretch an online reader’s attention span too far, and this means that they would probably only visit one page, get bored, and then leave. If you are using internal links between your articles, then word counts of 500 to 800 words might work far better for you. My rule is simple. When I sit down to write a blog post, I know I am certainly not going to write a book chapter. If you are thinking about starting a blog, try writing a few new blog posts and ask your friends and family to read them on their phones and get their feedback. Then you can build a blog with your readers in mind. Online blog readers are busy people who want what they want, now. For writers who are keen to learn how to create a blog that will gain the maximum amount of attention, there are only a few key rules for preparing a good blog article. Select your blog topic carefully. Style your writing to be very easy to read. Design your blog so it is very easy to navigate. Give your blog readers pictures. And most importantly, give them plenty of white space. Great advice! What size are the bold headings you used? They broke the post up beautifully, making it easy to breeze through. How many words was this post. Glad you found this useful, Dave. The article is a little over 1,000 words, and the headings are 34px, or around 16pt.